Jul 15 What do croissants, riding and wine have in common? Today was filled with all kinds of fun, pain and surprises. After getting my bike finalized, I headed out the door for my first ride in the lovely Alsace region. It was cloudy at noon here and a tad chilly, only 16 degrees. Zipped-up and descended 5km from the hotel I am staying at (Hotel Panorama in Hohrodberg near Munster) and hoped that I would be warm enough for today’s ride. Reaching the D417 I decided to test out my legs by heading up my first climb, Col de la Schlucht and ride across the top, Route des Cretes, through Markstein and summit Grand Ballon (from the North). Felt incredibly strong on the way up to Grand Ballon which was amazing because of the amount of riding I’ve done the past year isn’t even close to what I had done last time I was here in 2006. One of the awesome things about getting older; what you lose in raw-youth-power you gain (and more) in mental strength, courage and ego. Physiologically, I probably shouldn’t have been climbing Schlucht in my 19 but did from bottom to top. Big-ringed for most of my way to Grand Ballon and then fortunately, what goes up, must come down. Before heading down I was quick to notice that even though the tour hadn’t been up Grand Ballon since 2005, there were still names of riders painted on the road, especially Kessler and Ullrich both of the former T Mobile squad. Inspirational. As an aside, I have to say, I was amazed at how many motorcyclists there were touring the area and how had almost forgotten how much respect drivers have for cyclists in France. AMAZING. At about 4 hours I was beginning to think I had made the wrong decision, a million miles from the hotel and another 20km left of climbing before Markstein then 30km to the hotel. I was tired, out of water and grinding away my 23 and even had to resort to a sobering 26 and watch my speed slow and my heart rate soar (can you say cardiac drift?). One of the things climbing mountains on a bike has taught me is ‘patience’. When you’re in a foreign country there are no options. If you’re 2 hours from home and tired, you have no option but to sit-tight and climb until you’re home. Today’s ride was a good test of patience and mental fortitude. I was close to giving up and descending down to the base of the climb and finding my way back to Munster on the flats; but I didn’t. I kept climbing; despite my legs burning, my upper body tired (when does that even happen on a bike), both water bottles empty, and food; forget the 2 Lara bars that I ate an hour beforehand. Anyway, after finally reaching Markstein I made my way to the Col du Platzerwazel where I descended like a demon back into Munster. This is where things get interesting. Reaching Centreville in Munster I was almost taken out by a guy on a moped and then a police car chasing him...twice! Apparently in France, when the police want their man, they want their man. Having a hotel on the side of a mountain offers some spectacular views and it’s truly spectacular to be surrounded my lush, green mountains and foothills. This sounds all very serene and tranquil until you realize that after 4.5 hours in the saddle you have to climb some 700m and 5 km back to your hotel. At this point it’s a true testament of one’s will to survive (or intelligence – can’t decide). I basically limped home, crawling up this climb, Rue de Ligne at 12-15 km/h... painful but necessary. Some good stats for today’s ride... never ridden 132km (5:04hrs) in the mountains before. Climbing 2700m was close to an all time record and I’m pretty sure that my max speed of 90km/h was reaching the boundaries. Ever wonder what it’s like to careen down a mountain at 90km/h? Tears are flowing from both eyes, your pupils dilated the size of twonies for oncoming traffic and barriers that separate you from death. Might sound dramatic, but seriously, try it. If you haven’t done it, you haven’t lived. Looking at my average heart rate for just over 5 hours (with photo-ops), my Polar registers just south of 160bpm. For those of you who train, exercise and try to work super hard, this number doesn’t lie. One thing that completely bowled me over from today’s ride was how inspirational it is to be here. Tears welling on my way up to Grand Ballon when I was pushing my absolute hardest and then anger when I was making my way back to the hotel on 2 cylinders. The scenery here is to die for. As much as I love Mallorca and the Alps, this place is truly breathtaking. You can’t help but feel alive, fit and professional when you ride here. Riding to the back door of the hotel, a man in his 70’s spoke with me in French asking if I was in the Tour de France (of course I replied “Non”) and then listened to him mutter about how I should be, and that he didn’t understand why I wasn’t. Nice. I had mixed emotions and ego about bringing the Polka Dot bike (King of the Mountains) with me to France. 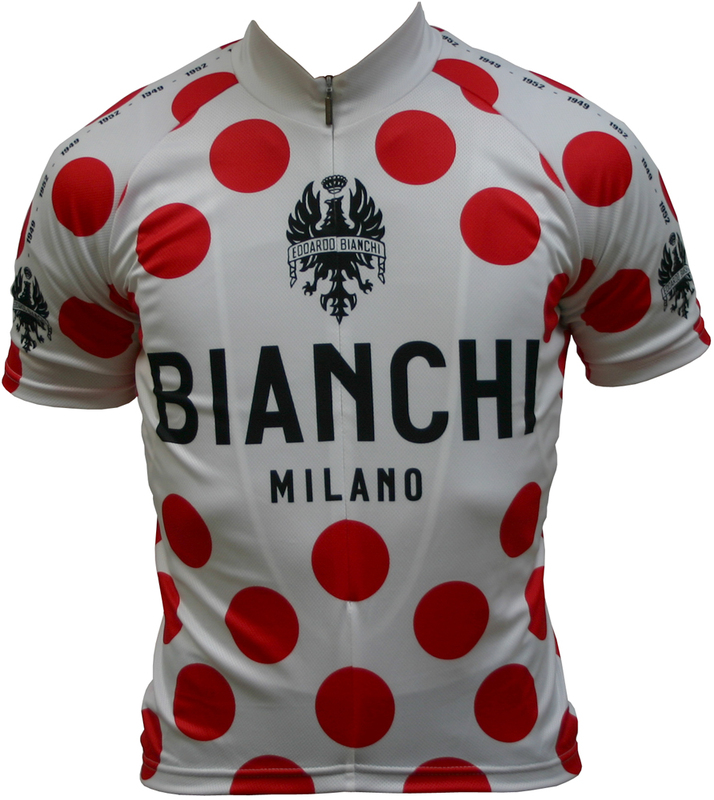 Funny, they say that when you don a yellow or polka dot jersey you “rise to the occasion” and ride like a man possessed (borrowed from Phil Liggett). Either the bike has magical powers or Phil’s on to something. Day 1’s ride was something I would normally reserve for the end of my stay in Munster, if at all. Even though I’ve missed my calling as a professional cyclist, it always embraces and reminds me that this is what I was meant to do. Every sense, every moment, every heartbeat, every emotion: raw, savoured and never forgotten. Jul 16 That bike's got a motor! Jul 24 Watch for deer AND cows? ...only in Italy.